​Crystal Palace are not resting on their laurels having watched third choice goalkeeper Julian Speroni cost his side a chance of at least a point at Anfield on Saturday. Roy Hodgson has identified Sao Paulo goalkeeper Lucas Perri as the man to relieve pressure between the sticks for the Eagles as both Wayne Hennessey and Vincente Guaita recover from injury. A calamitous mistake from Speroni gifted Liverpool their third goal - ​Mohamed Salah's second of the day, prompting Hodgson to dip into the loan market for a shot-stopper. The 39 year-old palmed a catchable cross toward his own goal, before Salah got to the ball to claim his 16th ​Premier League goal of the season. Whilst Hodgson didn't blame Speroni for the game getting away from ​Crystal Palace in the second half, he acknowledged that the blunder ultimately titled the balance of the game in Liverpool's favour: "The third goal basically wins Liverpool the game. The team [did not deserve that]. Unfortunately, it is an error from the goalkeeper which, in my opinion, really highlights the cruelty of this game. Zaha: “You can’t come to Anfield and score three goals but still lose." "For a 39-year-old keeper who has not played for a year and a half, it was very cruel. But we all know that what you get and what you deserve are two very, very different things." 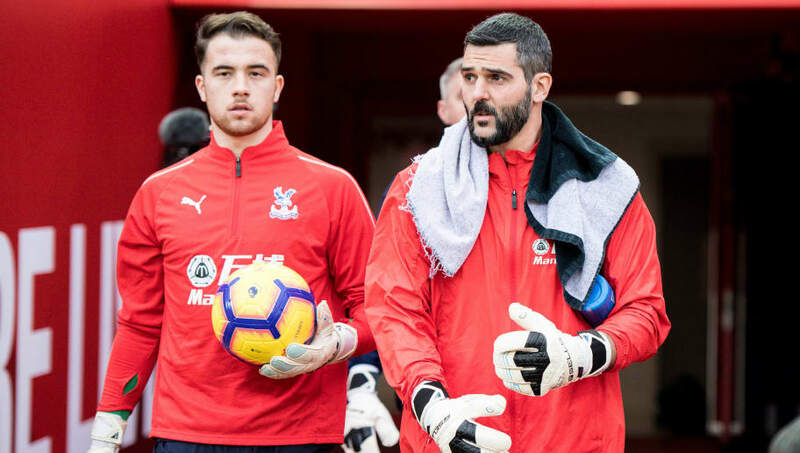 With Guaita expected to be sidelined for at least a month - and Hennessey's timeline for a return unclear, Palace will be hoping to get a deal for Perri done in time to face ​Tottenham in the fourth round of the FA Cup. According to ​The Evening Standard, Perri was due to arrive in London on Monday ahead of his medical on Tuesday. The 21-year-old Brazilian has a brilliant opportunity to showcase himself in European football with a debut seemingly scheduled against a Tottenham side whose number one striking option is Fernando Llorente.